Gelati's Scoop: Part One - Q&A with J.T. 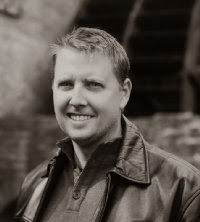 Patten, author of "Safe Havens: Shadow Masters"
Part One - Q&A with J.T. 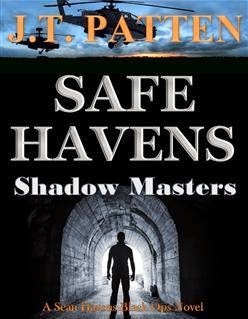 Patten, author of "Safe Havens: Shadow Masters"
What can you tell us about Safe Havens: Shadow Masters? Safe Havens is a black operations thriller series that blends aspects of crime, terrorism, war, and espionage. While that sounds cross-genre, it’s really how many actual conflicts are fought today. Especially the wars in the shadows. I further twist things by adding in the family aspects of these warriors as they battle enemies foreign or domestic, and demons in their battle weary minds. To me, it made the characters more lifelike and fallible. 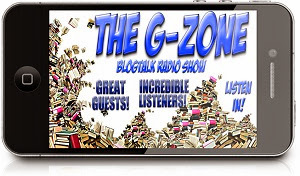 There are some great characters out in the fiction thriller world, but I am not so sure that most readers can really relate to being a Delta operative, Navy SEAL, or some CIA assassin. I think it creates a little bit of a barrier for the reader who may read military thrillers because they dreamed of being that action here but it was too out of touch. In the Safe Havens series, the main character Sean Havens has done a pretty decent job keeping his government black ops work separate from his family world in Chicago. Unfortunately, there is a conspiracy unfolding that has Sean caught in the middle. Whereas most books within the same sub-genres would have the guy hunt down enemies guns blazing, Havens is an intelligence operative, but most importantly his is a father and husband. So, as much as he may even want to do certain instinctive action hero things that we as readers have come to expect, the truth is he is a regular guy forced to draw upon unknown inner strength and critical thinking to make impossible decisions and find safe havens for those dear to him. That’s not saying that he may not lose his mind from time to time, but there is a bit more approachability when a reader can see themselves doing the same things or struggling with some decisions. What inspired you to write this book? I am an avid reader of military fiction. I love espionage novels and a gripping assassin thriller. I found that most writers were so focused on researching the type of weapon that a character had and the speed that an ammo round traveled, that the actual character was left as an afterthought. Similarly, the plots were so linear that I could predict the outcome within the first number of pages. Since I have a background in the genre that I write, I took a challenge to write what I know. At first, I wanted to write it for my friends who are in the military and intelligence community to see if they could also appreciate the difference. I just wish that I was a better writer. All in all, the reviews state that the story was quite eye-opening and gripping. That is more than I could have asked for. J.T. Patten has worked with the intelligence and special operations community in support of national defense and policy. He has a degree in Foreign Language, a Masters in Strategic Intelligence, graduate studies in Counter Terrorism from the University of St. Andrews, and numerous expertise certifications in forensics, fraud, and financial crime investigations. Patten shares these unique experiences with readers to give them a taste of "the black." But he’s also a dad and husband. If you read his books, that part can’t be hidden, nor does he try.